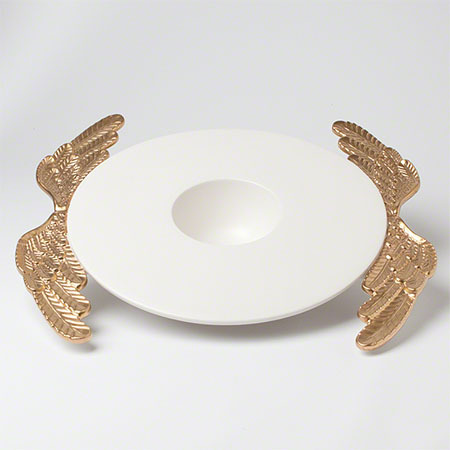 Exquisitely detailed golden wings support the smooth, wide brim of this fine ceramic bowl. 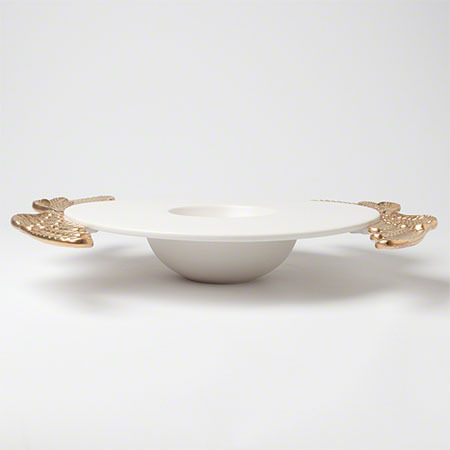 Large in scale and breathtaking in simplicity. 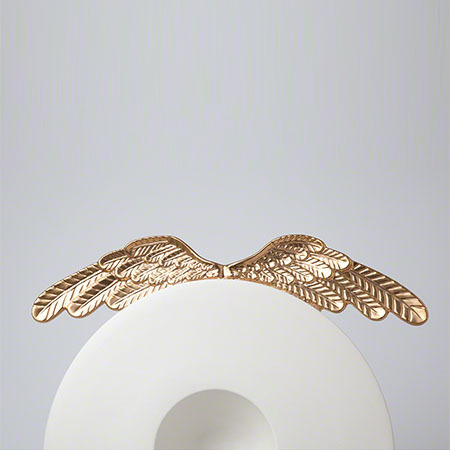 The gilded glaze on the wings contains real gold.